Detroit is a big city on the rise - with culture, history, entertainment, beautiful buildings, grit and determination. The Cobo Center waterfront is a phenomenal experience. It is an enormous natural asset. Situated on the bank of the mighty Detroit River, Cobo overlooks Windsor, Ontario and is an international destination. This is a different Detroit. Security measures established for each event in Cobo Center support the entire event ecosystem. A united effort to mitigate risks through preparedness, security and safety measures is put in place to provide protection and peace of mind to all visitors. Pre-event planning ensures that Cobo Center security is working effectively with your event security agency to create an environment of safety and hospitality for all attendees. The Pure Detroit shop is located on the concourse next to the Business Center, a retail space offering a full range of Detroit-centric products, connecting visitors from all over the world to the culture and hospitality of Detroit. The Infinity and Ovation charter yachts can be conveniently docked on the Detroit River near the Atwater entrance to Cobo Center. Entertaining between 40 – 300 guests, these beautiful yachts can be chartered for customer & employee events, trade show afterparties, sponsor appreciations, or just enjoying a phenomenal dining experience on the river aboard one of Detroit’s most exclusive entertainment venues. Click here for the Infinity and Ovation Yacht Charters website. Your event manager can give you information about walking and bus tours during your event in Cobo. 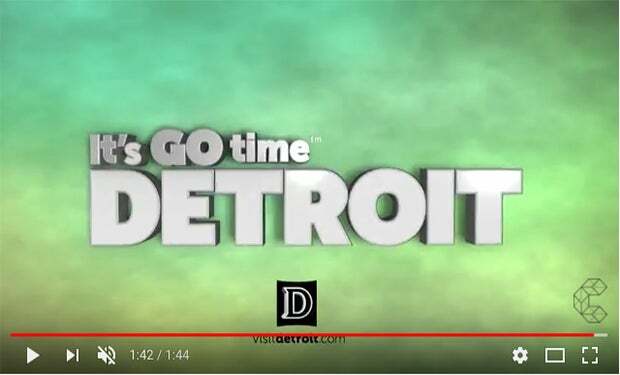 The Detroit Metro Convention & Visitors Bureau has the complete and current library of attractions and events in today’s Detroit.